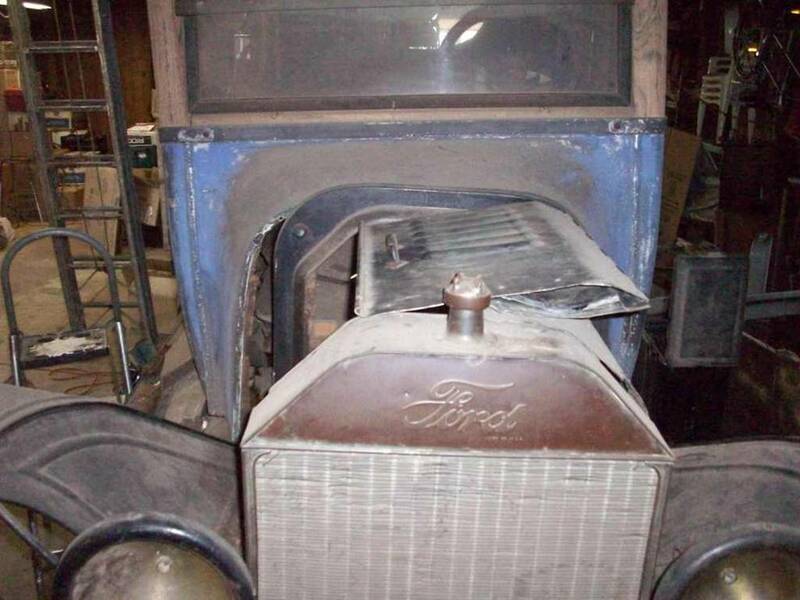 Model T Ford Forum: Is this legit? 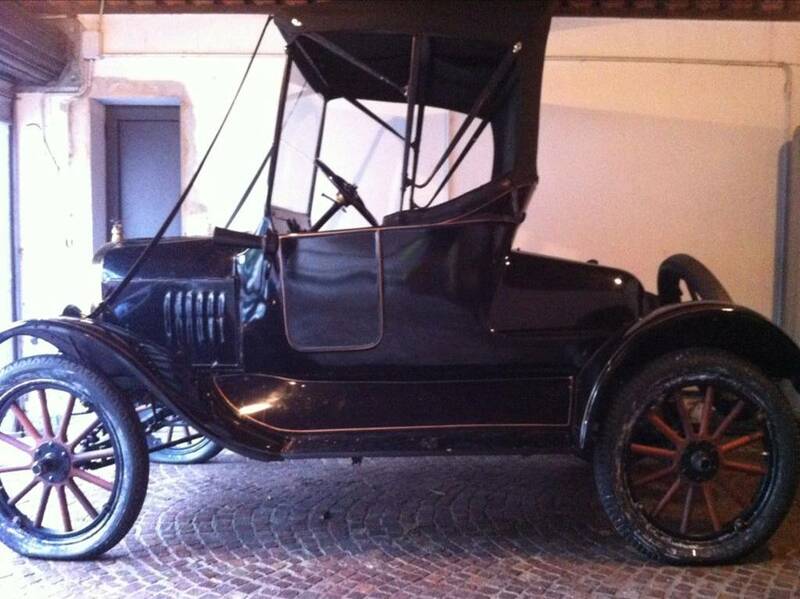 Model T Ford Forum: Forum 2012: Is this legit? I received an email from felice.sais@libero.it with some pics of a T asking me what year it is. After all the hacking going on recently, I'm wondering whether this is legit before I answer it. Does anyone here know this sender? I don't know the sender but I would be careful about opening it. My question would be why would someone you don't know send you a private message instead of just posting the question to the general forum. I do not know the sender. Is a, "'dot' it" internet service provider one from Italy? I would be highly suspiccious. Sounds to me like someone trying to groom you. I get five hits on his e-mail address, all Italian, and they seem to have to do with buying and selling various kinds of old cars. Just googling the name alone turns up someone on Italian Facebook, but I can't see much about him (since we are not FB friends and his profile is not freely available). If it's the same guy, his FB photo shows him with a girlfriend/significant other/wife. He seems to be real and if he's not trying to sell you something, but just asking a question, it may be related to his apparent interest in old cars. I found a reference to a 1922 Model T in one of the hits. PS. Keith, yes libero.it seems to be an Italian ISP. If he asks for money - simply don't reply. Then block his address in your email client and get on with having fun with you T ! Indications are Felice is curious about Model Ts; is trying to load information about Model T; and is trying to sell one particular Model T on that website that loosely translates as "Beautiful Cars of All Time". Mike, you weren't trying to sell him a car, were you? J/K! Fifteen years ago I was working with a bunch of Italians who were contracting locally. Naturally, I was remanded to orienting them with this part of Alabama. I learned they are generally fascinated by American cars, especially early Fords. And they are disgusted by cars with big blocks, like my '68 Cadillac convertible. They couldn't believe anybody would motivate their car with 7,700 cc's, much less afford the gasoline. They also thought Alabama was the steamiest place on Earth; that is, 'til they spent their vacations in Miami -- in the middle of August! OK, thanks for your input, Guys. I just thought it was suspicious that I was singled out for info on his car and wondered whether any others had gotten the same message. I'll go ahead and give it my best shot. 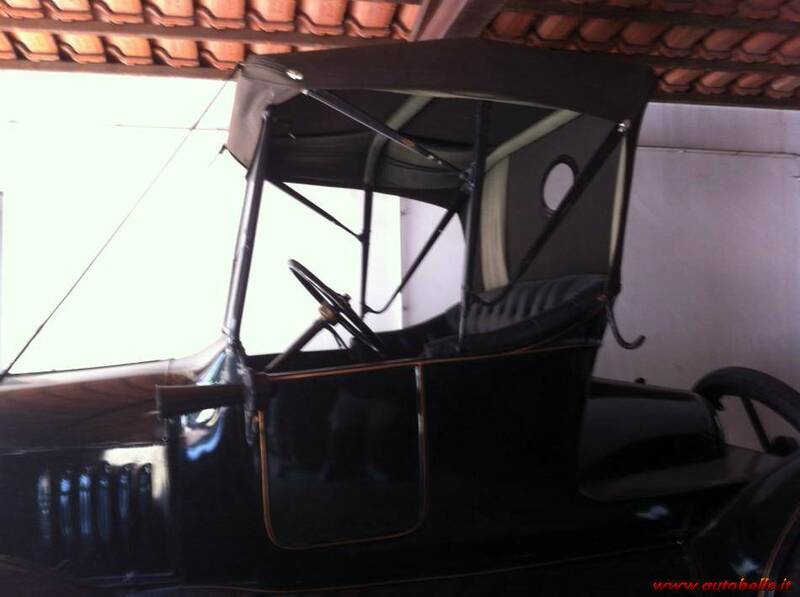 From your photo you have a 1919 to 1927 radiator and radiator shell. If you provide the measurements of the firewall/dash Cowl � we can determine which style radiator you have 1917-1923 or 1924-1927. See also: http://www.thebrassworks.net/shop/index.php?cPath=11_17 Your car does not have that. 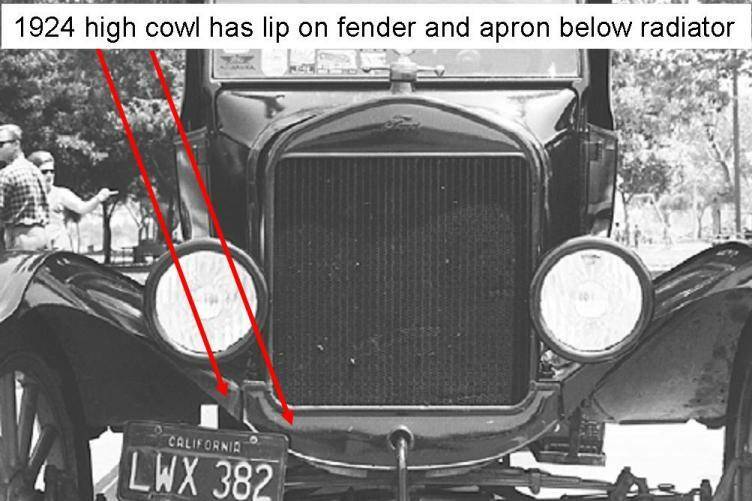 The 1917 to 1923 Model T Fords are called a black radiator Ford. They were NOT the previous shape. 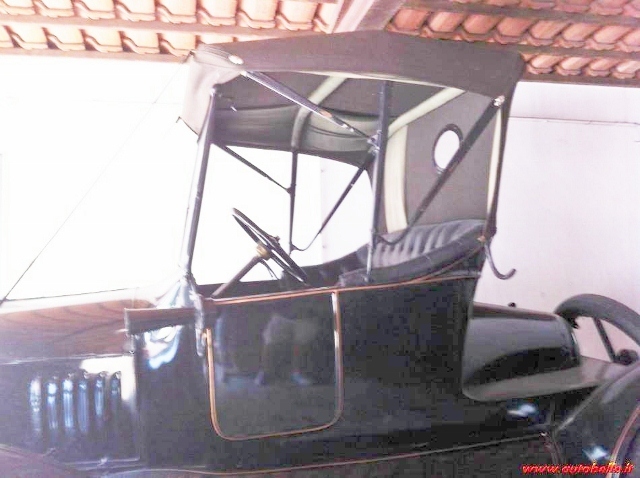 Below is a 1918 Ford � the 1917 to 1922 looked the same. The radiator was made a little taller for 1924 and the same size was used 1924-1927 Below is a photo of a 1925. 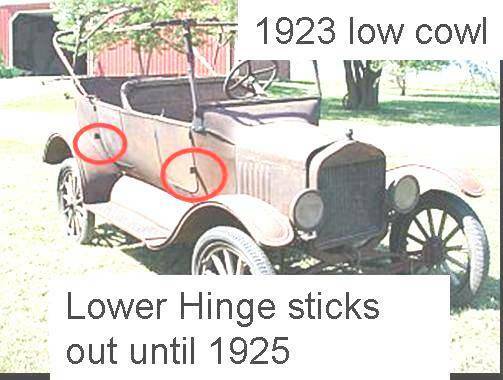 Your car has the 1924 to 1925 car (1924-1927 Ton Truck) fenders with the lip. Below are some of the photos he sent -- resized. I think it is probably a 1923-1925 Runabout body with a different turtle deck fitted. 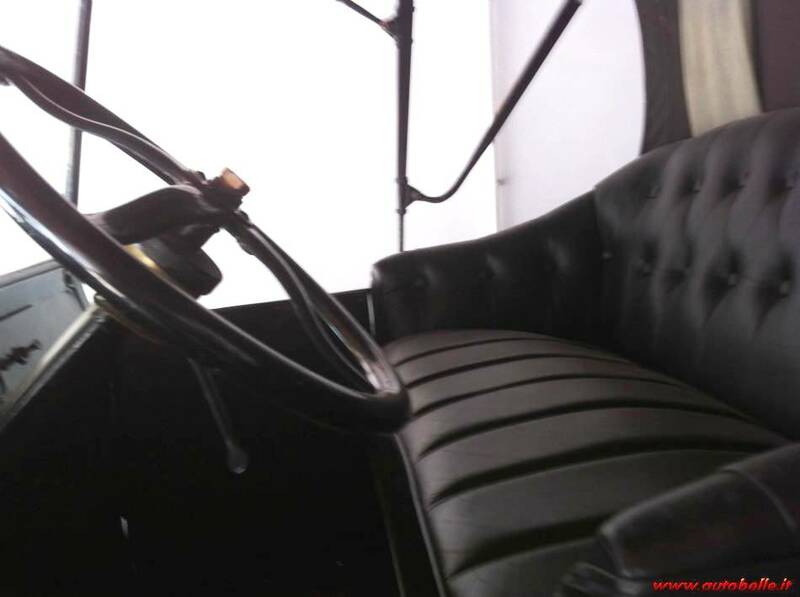 But from the photos that I have I cannot see if the steering column has the steering column bracket typical of the 1924-25 cars. 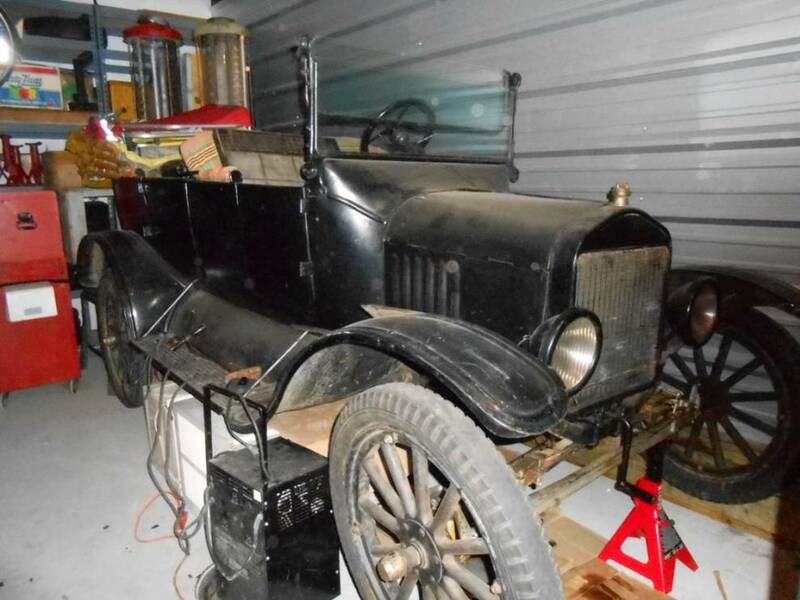 I also cannot see the hood shelf where it meets the cowl which would make it easy to tell if it is a 1924-25 with the "dog leg" at the end of the hood shelf or the earlier style. 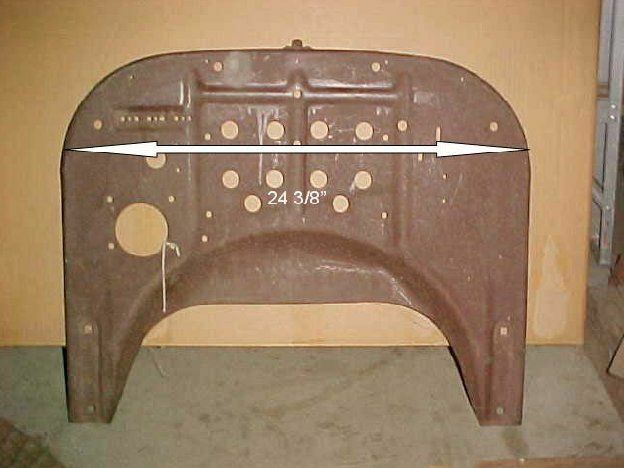 And the fenders with the lip are the typical 1924-25 car and 1924-1927 Ton Truck. They would be correct for a 1924-25 but I don't know if they are original to the chassis or not. The engine has a regular starter and generator. I don't know whether it's a US body or a European one. If it's US, it's pre-'24, or at least has a pre-'24-type turtle. With the starter/generator, instrument panel, demountable wheels, two-man top, and slanted windshield, I'm thinking it's a '23. The high hood/radiator/cowl would suggest '24, but not with the earlier top (?). The radiator splash apron is different, but that might be a European thing. It also has some "dress-up" features, such as pin striping and top straps to the headlights, so who knows how much of the car is original to any one year? The top and windshield are not in any way typical U.S. production. For one thing, they both appear taller. The top irons have offsets and the folding brackets are all different than U.S. Ford. It makes it tough to give an accurate year when there is so much about the car that is different and may or may not have been changed. And since Mike is a regular poster � one of his postings could easily be near the top of the forum. And like me, he has his e-mail address listed in his profile. As time goes on, I may need to remove my e-mail address from my profile, but so far I have received many more good photos and information than I have SPAM. And unless the topic of the e-mail looks Ford related � I will usually just delete it. One reason I went ahead and posted the photos is I could not quickly figure out the year or the body and while I had received some additional photos they did not clearly show the areas that would answer the mystery. I have changed the contrast and cropped the photo. Note that the rear deck is not a standard runabout deck. Rather it is shaped like a small boat tail deck. 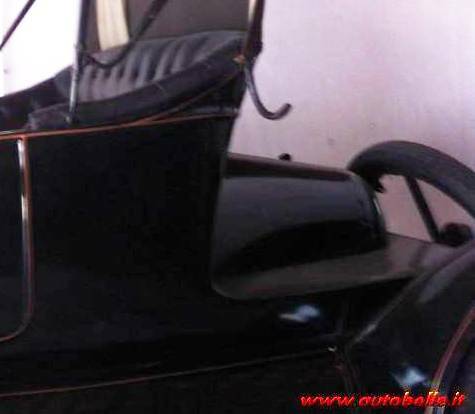 Notice if it was a 1923 - 25 runabout body it would have the top rest bracket coming through the side of the body � or the plug covering the hole in the panel � but it does not. Looking at it closer it appears to have the rounded lower corner where the door would fit against the body. If so, I think it may have been a cut off that once served as a pickup and then a later owner may have modified it to look like a boat tailed runabout. Again, with the photos currently available it is difficult for me to say for sure what is there. Clearly it is not as originally produced by the USA, Canada, or English Ford plants. Hopefully we will receive a few additional photos that will provide the answers. 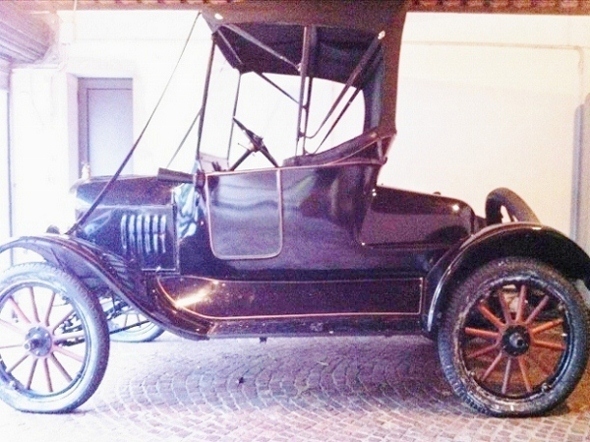 I still do not see enough to say for sure if it is a 1923 and earlier body or a 1924-25 model year body. I will send him an e-mail pointing him to this thread. There are enough "different" features of this car that I'm wondering whether it was produced in Europe. 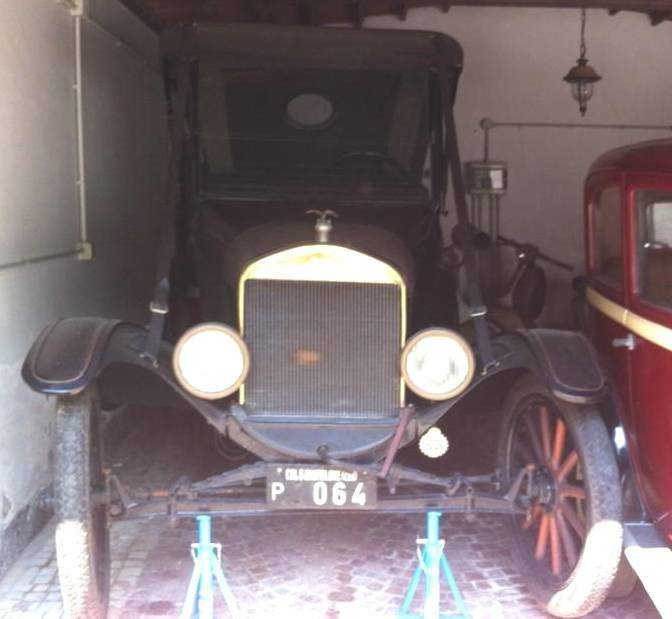 Some pics of French Model T's have been posted here which have beautiful lines and are much more different from US production than this car is. I really don't know anything about those European bodies, but I agree with Hap that at least parts of this car are not regular USA or Canada production. It looks to me like a high-hood (24-25) cut-off touring with some metal work done to try making it look more like a factory runabout, and an earlier top that doesn't quite fit the slanted windshield. The pin stripping on the door panel and top edge of the body seem to accent the "rake" in the body lines. Low at the windshield and rising towards the rear. It also makes the door panel look crooked. That rake wasn't standard Ford was it? 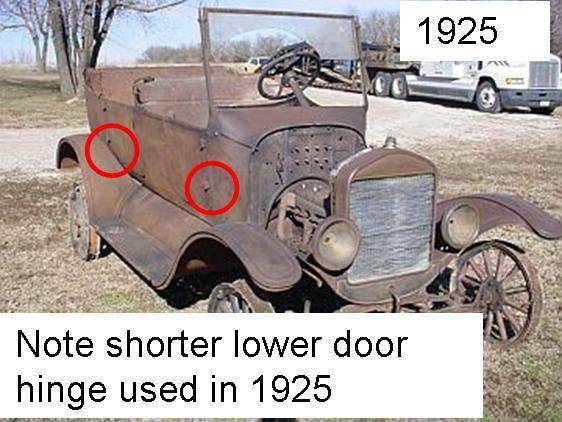 I'd say it's most likely a cut-off 1924 Touring. That is one of the things I really love about this forum. Someone that no one here knows, speaks little English, sends a few unsolicited emails to a couple of regular posters. In spite of good reasons to be suspicious, the next thing you know, more than a half dozen people are sharing photos. Looking them over and trying to answer his questions. Plus they're hoping for more photos from him to look at so they can give better answers. If only the rest of the world could be more like model T people in general and this forum in particular. I then might not have such a bad outlook on life. Ford established an assembly plant in the north italian city of Triest in 1922, so if it has full italian history, it's likely assembled there. 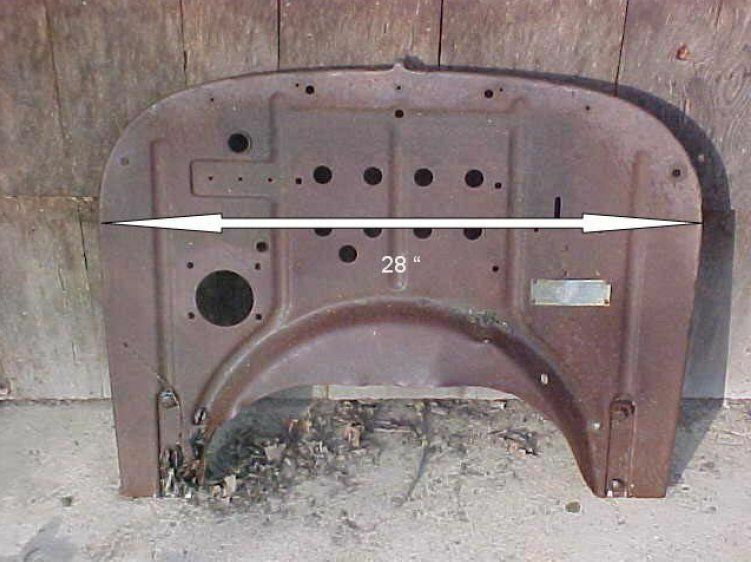 It was pretty common and well documented, that Ford had a lousy storage management, so there where not send carefully numbered trunks of parts so when new models was introduced, the factory may still have some of the old parts on stock. That lead to many transitional models where the new parts gradually showed up on the cars. Therefor you may see mixed cars and still be as original. The body may be another story. Generally on the european assembly plants, the bodies came with the cars knocked down, but of course there could be tax reasons or other legislation that required a certain percent of the car was made locally. That was the terms for German Ford later in the 1930's. As mentioned we have seen some nice French Fords. However, on the first Danish assembly plant (1919) they primarily assembled Tourings only where other (closed) models was delivered assembled from either Detroit or Manchester. It may have been the same in Italy so that this is either delivered as a running chassis or is a converted touring. Many tourings "lost" the rearend for a bed and this one may be in its "Sunday" configuration and have had a bed on workday in the rear. Creativity was widespread back then too. Thank you, Michael D., for that enlightening post. Most of us here in the US know little or nothing about Ford's European procedures in the 'teens and 20's. Had to lighten up the photos to see details. Appears to be runabout body, with special deck on the back. Could be a Ford assembly or an custom body work. The windshield, and top irons and top covering aren't Ford factory. Straps to the radiator mounts for the top are early design, unbefitting to this later body style.